The piles of useless objects in the basement or the cellar are not a pleasant sight to behold, especially when you keep hoarding useless objects for years. The overwhelming piles of junk and scrap metal in the garage are another common issue. 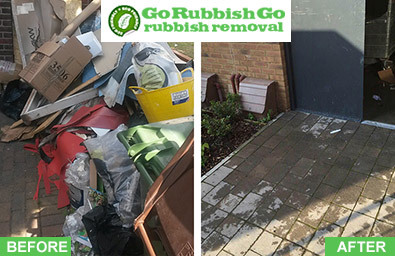 If you want to get rid of the junk in your house quickly and efficiently trust Go Rubbish Go and our expert Bermondsey house clearance services! There is no need to struggle doing everything yourself, because it is not easy to decide where to start from. Taking care of dust and dirt is another unpleasant issue, so a better idea is to leave the difficult tasks to the professionals. Find more information about our services on 020 8610 9182 and learn about the best way to overcome the SE16 house clearance challenge. When you talk to our experts, we will also tell you about the best price at which we can get the job done. Usually, it turns out that hiring a professional SE16 house clearance service is a less expensive way to get rid of the junk in your garage, shed or loft. We can provide a team with the exact number of men necessary who can finish the job according to your requirements. Also, you can avoid the expenses for tools, handling bags and boxes, hiring a pick-up service, collection and disposal at the recycling centre, and more. Our services include all of the abovementioned and even more! We can not only recycle, but also de-clutter, sort, or reuse some of the useless objects in good condition. Finally, what really makes us the most affordable Bermondsey house clearance company are the numerous discounts that we offer you. All you need to do to get your waste problem resolved is to call our advisors on 020 8610 9182. They are all experts who will discuss the details of your situation with you and propose the most appropriate solution at the best price. Our crew members know what to do and exactly where to start from, because they have numerous combined years of experience in the field of professional house clearance SE16. Handling big and heavy scrap objects is not an issue for us. 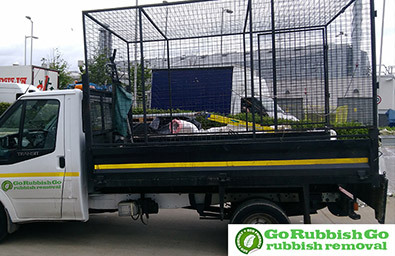 We have our own pick-up vehicles that will make the collection of extremely bulky or heavy rubbish objects look easy, not to mention that we also care for nature and for the public safety. House clearance Bermondsey with our company on the job is so easy. Another great benefit of our services is that we can get started with collection and disposal of rubbish as soon as you need us to. Tell us your requirements and expectations and we will send a crew to your property on the same day! Yet since our employees are experts, they can get the job done until the end of the very same day. What better way to do a Bermondsey house clearance if you have to do something in the last moment or if you need to return to a perfectly de-cluttered house! Carrying out a house clearance in SE16 in just one day is a truly trying endeavour, but there is nothing impossible for our skilled crews. We specialize in a vast range of Bermondsey house clearance services, which range from shed and loft clearing, through scrap metal collection and to collection of old furniture. Everything that you need to make your house more visually pleasing and better organised – we have it all. Dark and tiny basements are often difficult to clear out, as are the lofts with steep stairs, but our SE16 house clearance crew can take care of all the places that need to be de-cluttered. A set of specialized tools, such as ladders, torches, protective gloves and others, helps us get all the main and complementary jobs done quickly and efficiently. We also provide a recycling service as the best way for reducing the amount of waste dumped into landfills. What better way to preserve nature than that! By booking our SE16 house clearance services, you can save much more money than you may have expected. Take care of the junk in your house by calling the professionals – us. Our phone number is 020 8610 9182 and we are ready to meet all your expectations for a clutter-free house right now. Book now, because that way you will be entitled to one of our special deals and seasonal discounts. 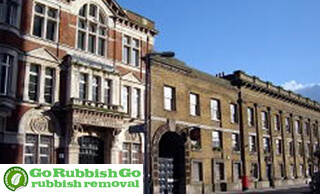 The hustle and bustle in Central London are always high in this time of the year, and finding a professional Bermondsey house clearance company may not be that easy. However, this is not the case with our company, because we are always at your disposal to help you keep on top of junk and clutter! Bermondsey is found in the Borough of Southwark in South London. The area is rich in both history, which reaches back hundreds of years, and culture. You can find the brightly coloured Bermondsey Fashion and Textiles Museum here if you want a day out. Or, alternatively, Millwall Football Club’s grounds are situated nearby, as are Whitechapel and Canary Wharf. The area can be reached by bus or Bermondsey tube station, which is on the Jubilee line. You can also get there via Canada Water tube station also on the Jubilee line, or London Bridge train station.